Our Service Members combined with Bankers are up & running! 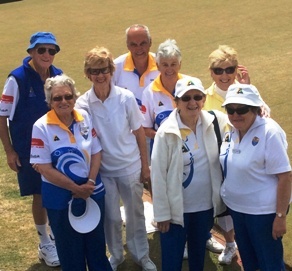 Several of our "young at heart" long serving members who are no longer able to join in mainstream bowls, have taken advantage of a new membership classification. With board approval, they are joining with bankers for a shortened social game on pennant days.